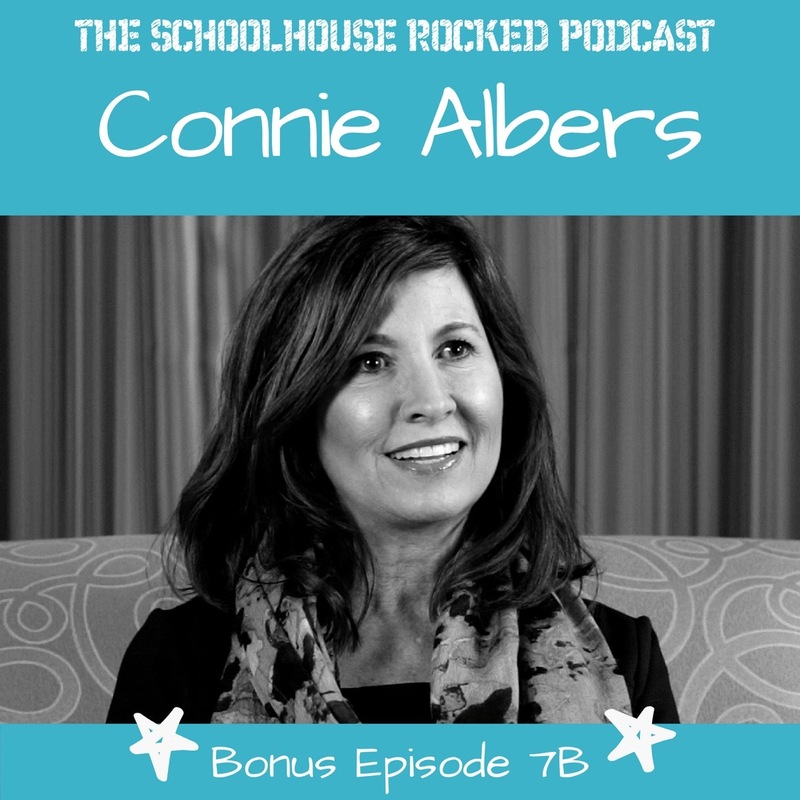 On this special ★Bonus Episode★ we are back with Connie Albers. If you haven't already heard it, listen to the first part of this interview here. Connie is a respected speaker and author for NavPress who has served the homeschooling community for 27 years, as well as homeschooled her five children who are all graduates of the University of Central Florida. She has served as a director and board member for a large state homeschool organization, worked in the political arena as a senior strategist for a successful U.S. Congressional campaign, and has been a Speaker Relations and Events Manager for Apologia Educational Ministries. We have been blessed to have Connie on the Schoolhouse Rocked Production Team, serving as Associate Producer.